Ready to brighten up your home and outdoor decor? ColoriScape's beautiful hand-blown glass designs are on sneakpeeq! Each piece is unique and one-of-a-kind, incorporating gorgeous color combinations. Every piece represents a natural phenomenon such as the ocean and the seasons. The amazing solar loop pod, which retails for $50, is yours at a 60% discount, only $19 with your $10 NEW MEMBER CREDIT! 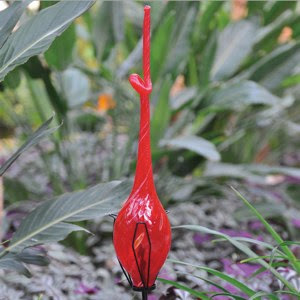 Celebrate this ancient art form and bring home a beautiful molten glass piece today! Bracelet freebie still available! Create a versatile look for the beginning of the fall season - wear butterflies to symbolize life's endless changes, a fish for good luck, or a single key as a nod to a hot 2012 look! We're giving you this beautiful Indian Summer Charm Bracelet ($69 value) FOR FREE just for joining sneakpeeq! Your new bracelet will become a go-to look, and we'll send you one with one of many surprise charms!